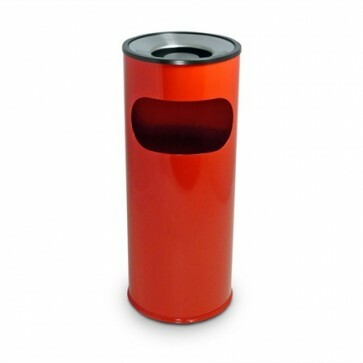 This vibrant red combination litter and cigarette bin is hard to miss. 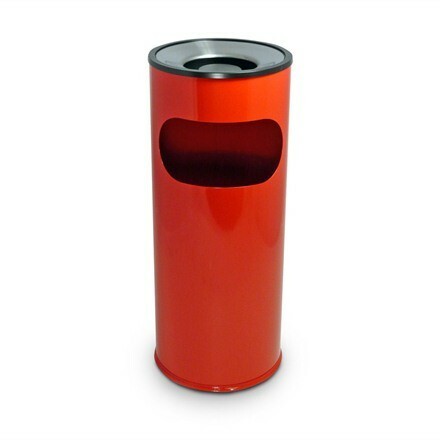 Manufactured from rust resistant powder-coated galvanised steel, it includes a large litter opening and a black coated metal ashtray top with bright polished inset to conceal deposited ash. 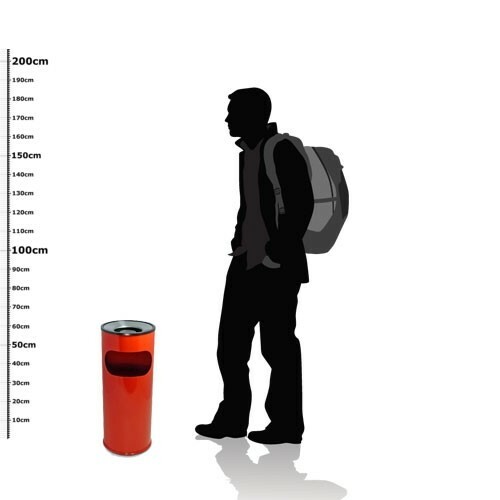 It also offers increased flexibility because it is free standing.